Kill Bill co-star David Carradine was a big car guy and requested Cadillac's Cien Concept for his eponymous character in Kill Bill. Quentin Tarantino isn't a car guy and he planned to use a silver Porsche for Bill's ride. Luckily for all of us, Carradine won. Tarantino writes his own material and has a pretty strong idea about the pictures he wants to make. But he also knows his crew, and for Kill Bill, he hired David Wasco as a production designer and his wife Sandy as set decorator. I know all this from IMDb, but the rest comes from issue 113 of Pantera International. David Wasco is a guy who used to drive around in a Triumph TR3 and a TR250 before restoring a 1969 Alfa Romeo 1750 GTV from the ground up. He also had a beater 1957 Porsche 356 in high school, and was lucky enough to have a friend who gave him his black Mangusta with a camel leather interior. Oh, those lovely seventies. Wasco had the DeTomaso Mangusta in his mind as he considered it to be one of the few cars that can be called art. Carradine supported the idea. By that time, Cadillac came back to them, offering the Cien to be rented for a large sum. Greedy GM. 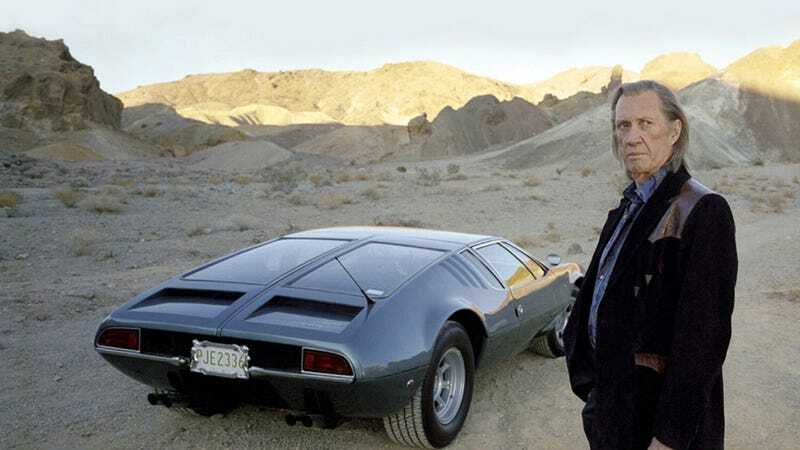 Instead of paying them, Wasco got in touch with Pantera International, and took photos of both the Mangusta and the Pantera for Tarantino to choose. Can you imagine Bill driving anything else than the DeTomaso? Source: Winter 2002 Issue of Pantera International. Photo credit: Miramax Studios/Andrew Cooper.